LGT Uses ACTICO to Meet Regulatory Requirements and More. LGT Group is the largest family owned private banking and asset management group in the world. Through 20 global offices, it operates across private banking, alternative asset management and impact investing. As of 2018, assets under management of the LGT group were CHF 206 billion. Regulations are huge drivers of costs in private banking. The relationship managers must take out more time in their daily routines to ensure that regulatory requirements are met. This means less time available for advising clients, less satisfied customers and potentially, loss of business. Since meeting regulatory requirements is unavoidable, LGT embarked on an ambitious journey to increase process efficiency by building a highly adaptable digital organization. LGT chose ACTICO Rules as their technology partner. The Business Rules Management System allows seamless interaction among processes, business logic and core banking functionalities, thus benefiting the relationship managers in their day-to-day work. On the new technology platform, case management guides the relationship managers through the entire process and provides all relevant information by communicating with all associated systems. As a result, relationship managers have more time for advising their clients and less administrative effort. Clients benefit from more tailored offers and hence, are more satisfied. Central rules management helps achieve a better overview of the bank’s rule universe. Software for customer relationship management and new core banking system implemented at VP Bank in Liechtenstein. 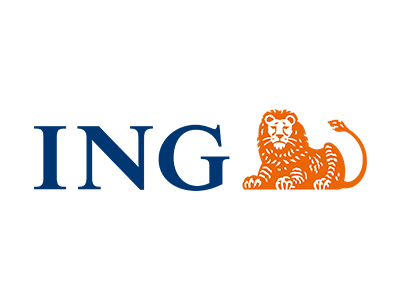 With its digitization strategy, ING is responding to the needs of its customers and at the same time gaining agility.